Cook back on stage at the #AppleEvent . "A great product isn't a collection of features. It's how it works together, how it makes you feel." 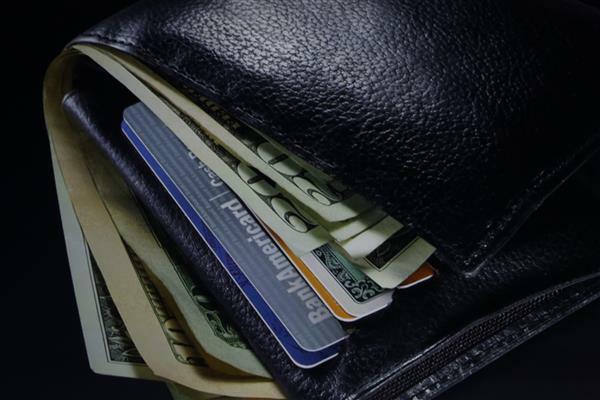 Tim Cook: "We've created an entirely new payment process and we call it Apple Pay." Shows a video demoing the split-second transaction. Apple Pay uses NFC, Touch ID, Secure Element (stores card info) and Passbook.
.@cue on stage explaining Apple Pay. #AppleLive Works with card in iTunes file. But can use others. "We've really gone through enough to call it a day. You've seen iPhone 6 and iPhone 6 Plus...But we're not quite finished yet..."
From #AppleLive video: It's the iWatch! 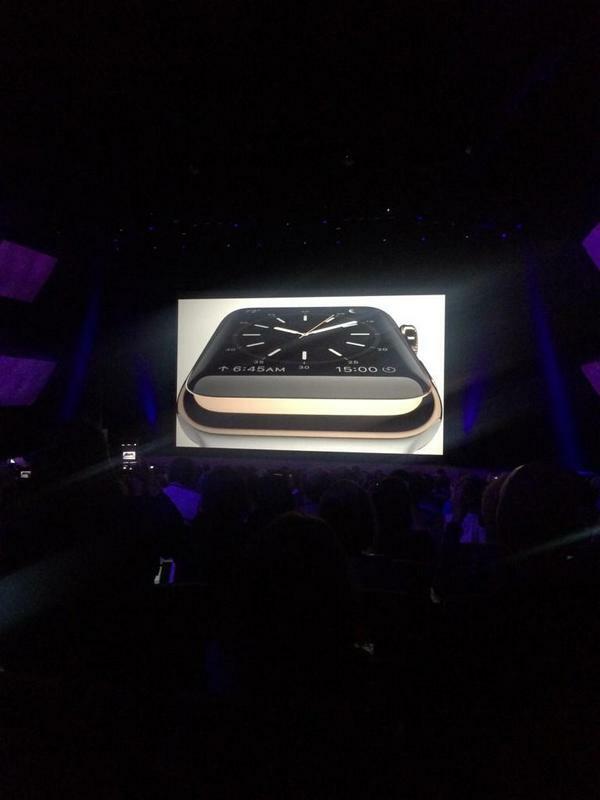 Very slick looking watches in Nano-like colors. White, red, blue, pink. Apple Watch. 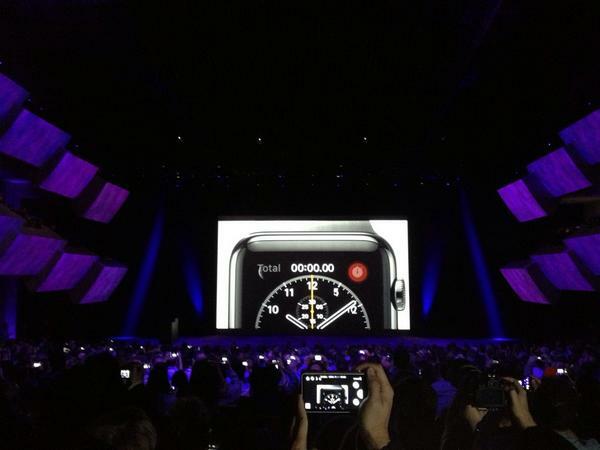 #applewatch #AppleLive And lo, @tim_cook is wearing his! But looks are subjective. Some are hating them already. 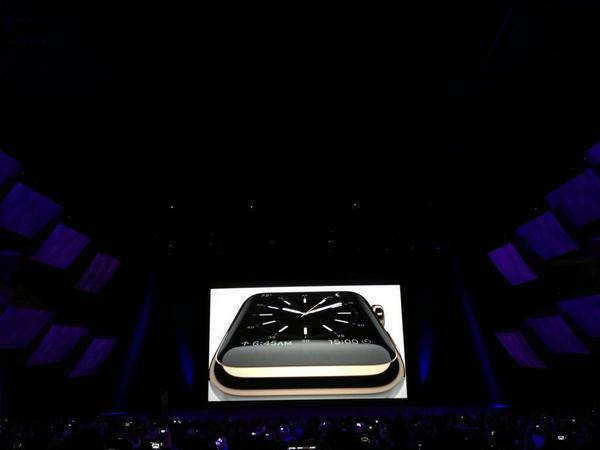 Cook: Apple Watch is a "truly remarkable innovation." Cook: Every new devices requires careful, deliberate new interface. 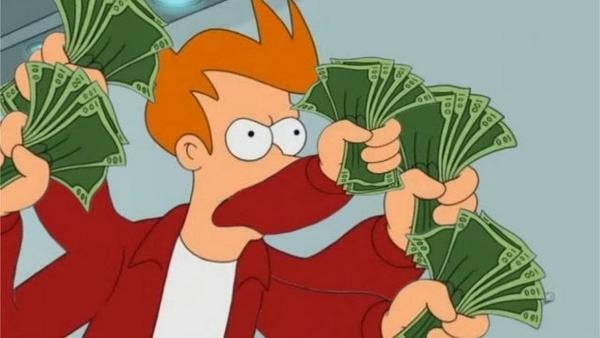 "We didn't take the iPhone and scrape the UI and strap it to your wrist. 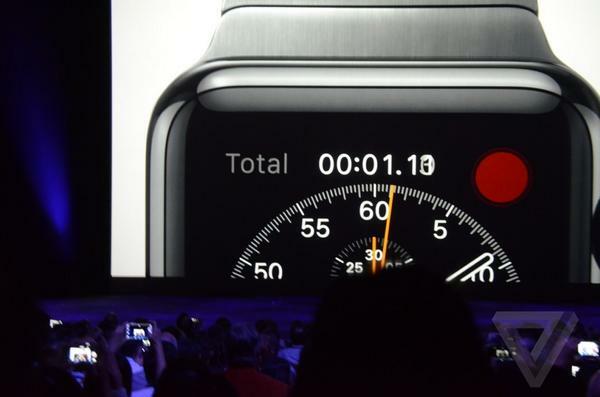 Cook: Navigate Apple Watch with digital crown. I thought it was a button, but no, it's a "digital crown." On apple.com/U2/, it says, "Your album is already in your library, waiting for you to download." Is yours there? Mine wasn't.